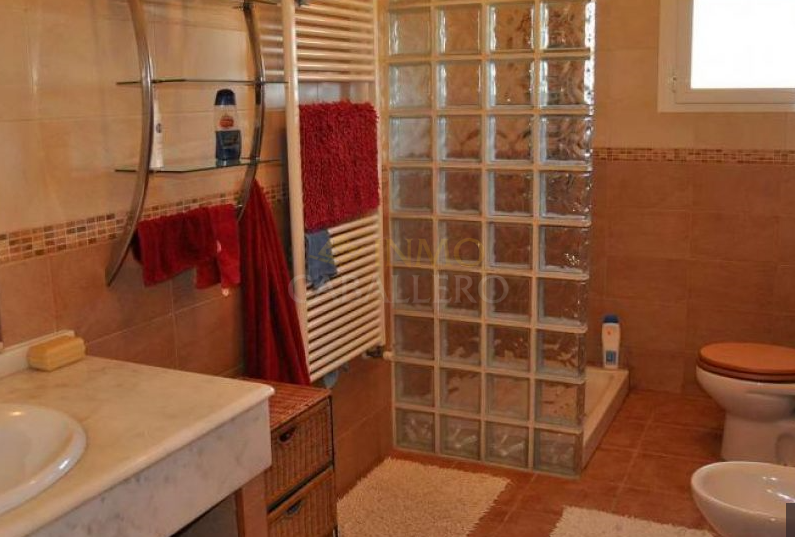 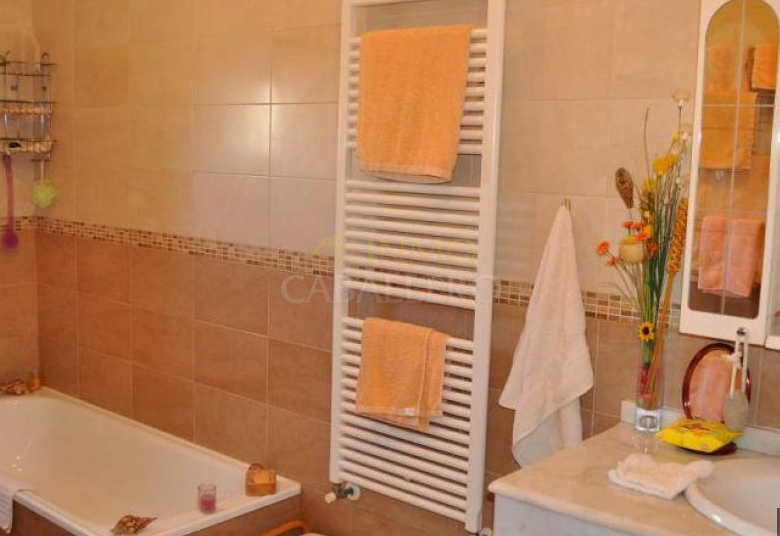 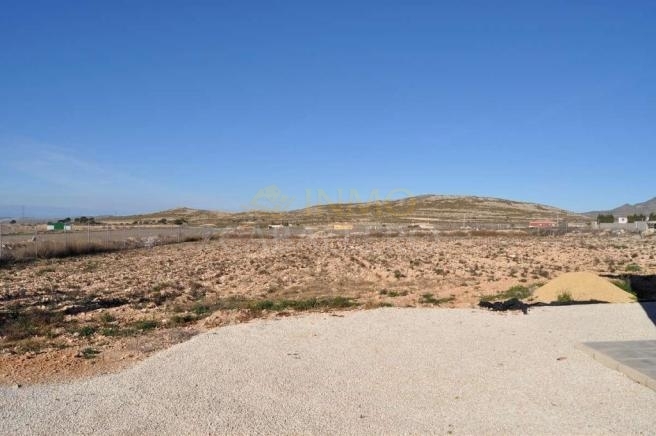 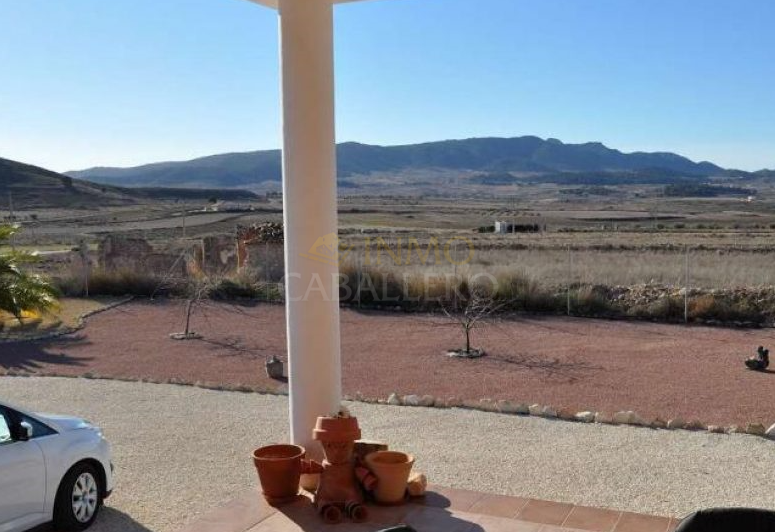 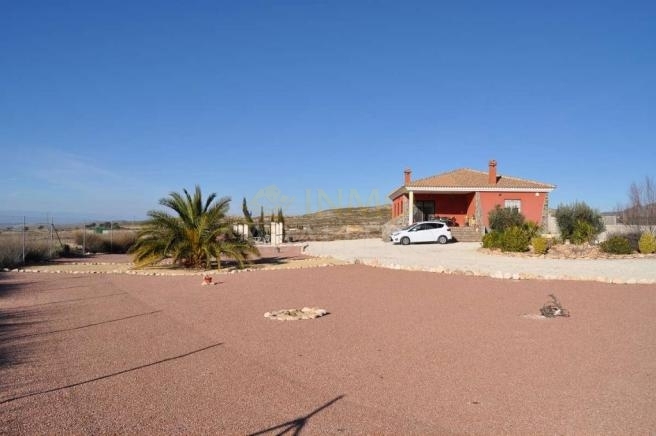 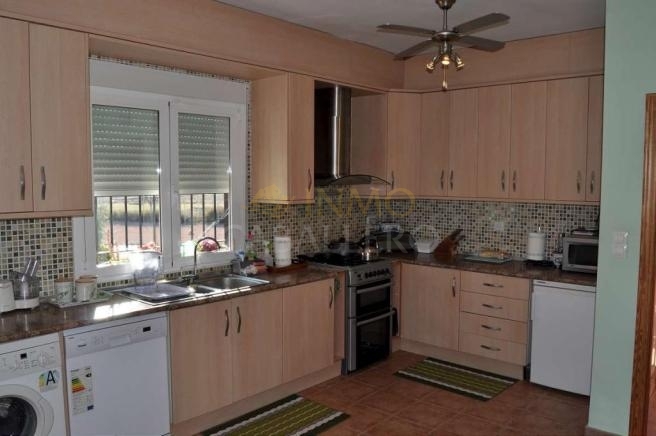 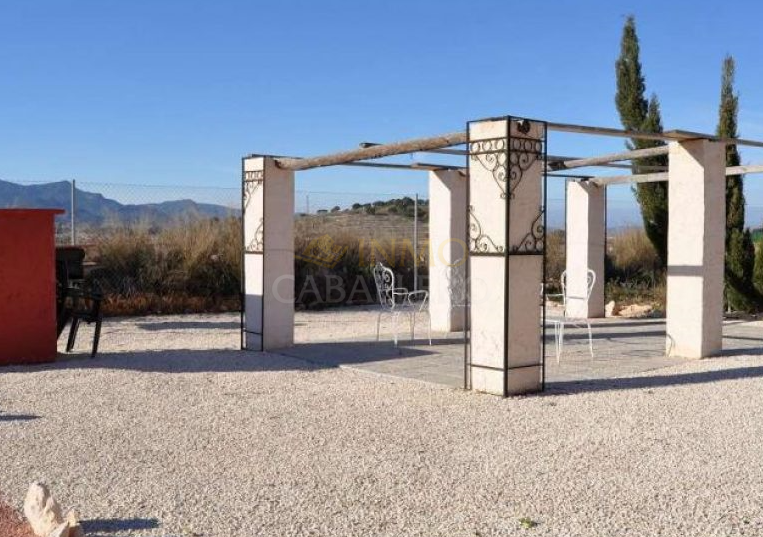 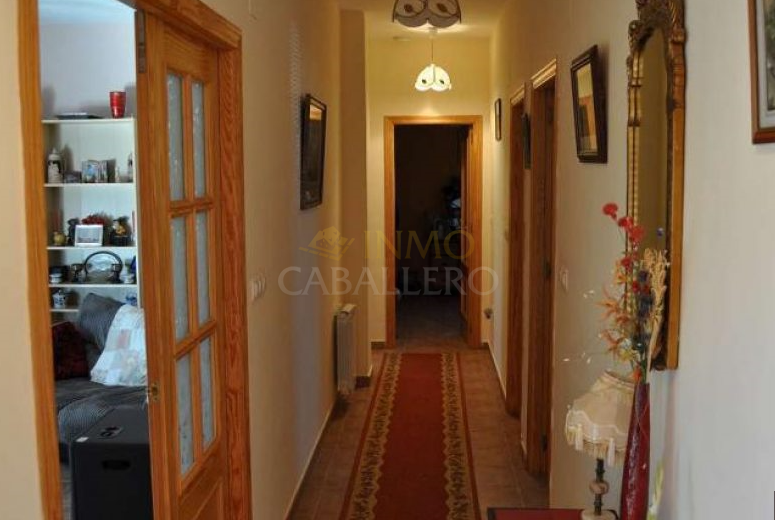 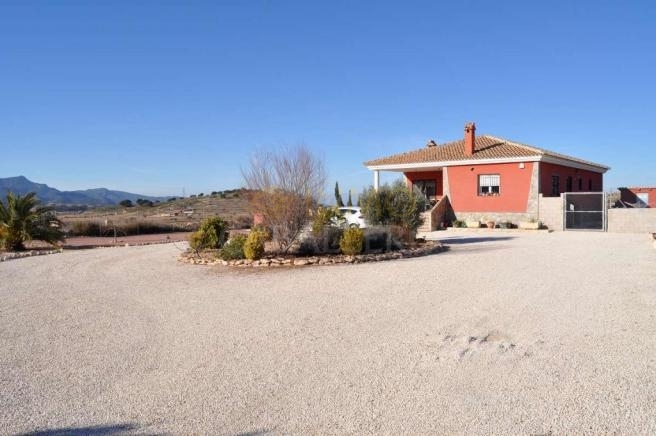 Villa in Torre del Rico, Jumilla with 18.000 m2 plot. 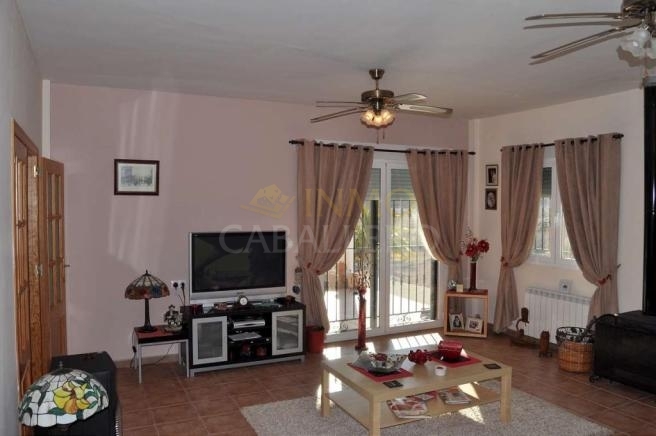 Consist of: Covered terrace, lounge, dining, kitchen, very large spacious bedrooms (could be very easily converted into a 4 bedroom house if required). 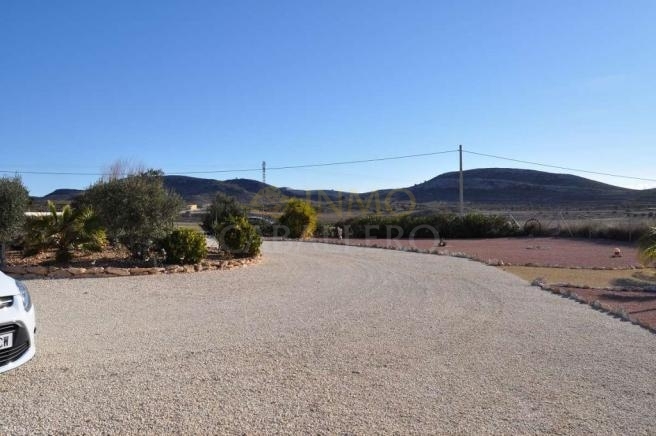 Currently boasting 3 triple bedrooms (1 en-suite), 2 bathrooms, low maintenance gardens and plenty of land, with access to the remaining land via an alternative road - ideal for caravans/mobile home access, as there is tarmac access to the front of the property as well.